← ‘Infinity logging’ is Napthine Government the new law! Stunning landscapes then add Elephants. 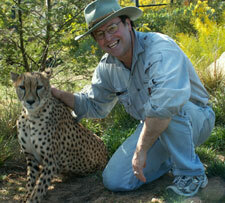 That’s what Africa is about. 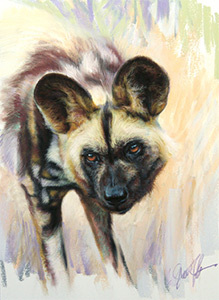 Stephen Powell & Steve Morvell Artist Photographer Guided African Safari 2012? 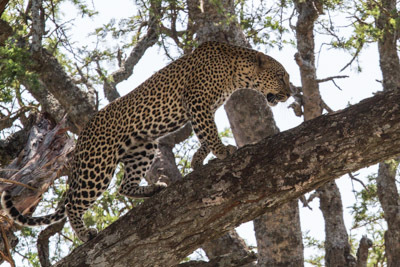 ARTIST PHOTOGRAPHER GUIDED SAFARI 15th Oct. – 28th Oct.
Leopards never cease to thrill! Do you sell on line? I love the elephant running. 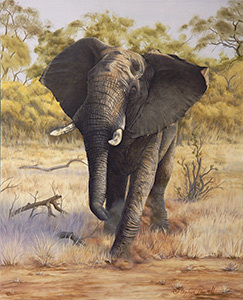 I do sell my images do you mean the Elephant charging painting? The Kruger elephants also look like they are running.